A dear reader has sent me a link I want to share … It is his translation of my recent article Flow with Life. for your kind effort and share. For all language aficionados in any new language, there is a draw of nuances of the culture and its interpretations in the flow in both the way it is spoken and written.And that is often beautiful to note. El que cambiemos es inevitable, es Ley de Vida pero tú eres quien está a cargo de cómo el cambio te impacta. Somos la suma de nuestras partes individuales. No hay corazón sin nuestra mente y ninguna acción sin nuestra percepción. No hay dos momentos de nuestra vida que sean iguales. Nuestro cuerpo está hecho de células que se renuevan a tiempo. Las emociones y el comportamiento que manifestamos son profundamente integrales a cómo nos sentimos acerca de nosotros mismos y la situación en cuestión … por lo que nuestros movimientos son tan únicos como lo somos nosotros. Cultivar la conciencia de nuestra propia respiración puede brindarnos el apoyo necesario y la sanación interna a través de los caprichos de la vida y nuestro modo de vivir. Solo asegúrate de sentir tu calma interior y ser uno con tu aliento, sin importar la situación en la que te encuentres. Esa es la forma en que te puedes conectar gradualmente contigo mismo en un nivel más profundo. Mientras más conectado estés con tu aliento, gradualmente comenzarás a relajarte en el momento. Deja que tu aliento guíe y lidere tu movimiento. Valore las energías sutiles de su propio ser que abarque su propia respiración. Siente la integración de tu aliento y tus movimientos. La respiración le da a tu movimiento una forma y dirección. Por lo tanto, no solo puede vincular su respiración y su movimiento, sino también practicar la iniciación de tus movimientos con la respiración. Tu conciencia aumentará gradualmente de cómo tu propia inspiración y espiración se utilizan en tus movimientos. Lo que potencia y da energía a tus acciones y lo que calma y ayuda a la relajación. ¡Y cómo puede fluir envolvente y abarcante, conectándose y complementándose como un baile elegante! Tan pronto como empieces a practicar, aprenderás a bailar con ello. Here is my original post. 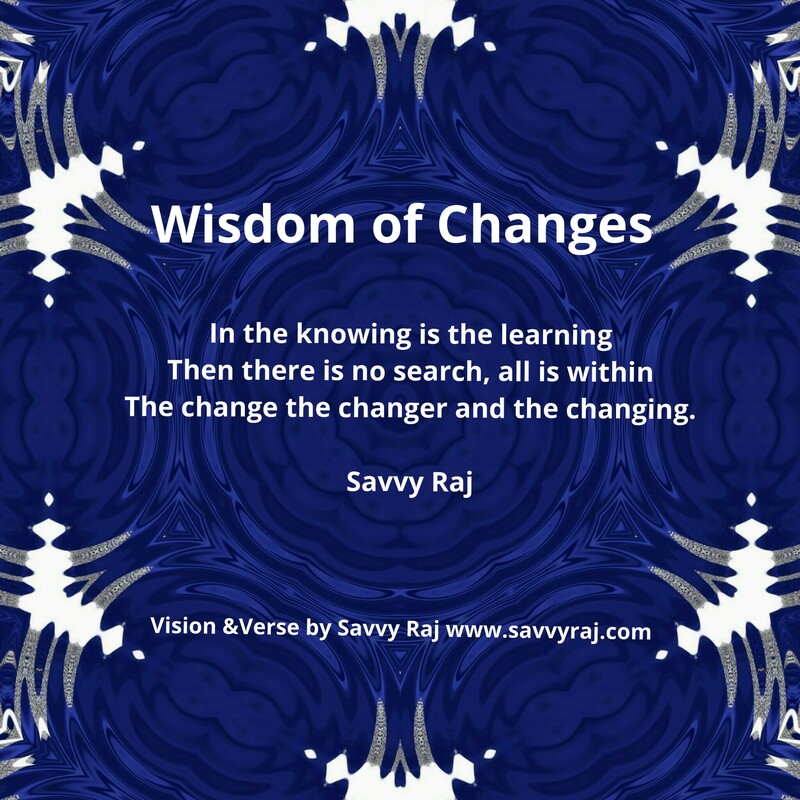 Change is inevitable, but you are the one in charge of how the change impacts you. We are the sum of our individual parts There is no heart without our mind and no action without our sensing. No two moments of our lives are alike. Our body is made of cells that are renewed in time. Emotions and behaviour that we manifest are deeply integral to how we feel about ourselves and the situation at hand … so our movements are as unique as we are. Just make sure to sense your inner calm and be one with your breath no matter the situation you are in. That is the way you can gradually connect with yourself on a deeper level. The more connected you are with your breath you gradually begin to relax in the moment. Let your breath guide and lead your movement. Value the subtle energies of your own self that encompasses your own breath. Sense the integration of your breath and your movements. Breath gives your movement a shape and direction. So not only can you link your breath and your movement but also practise initiating your movements with your breath. Your awareness will gradually increase of how your own breath (inhale)and out breath (exhale) are being used in your movements. What powers and energizes your actions and what calms and assists relaxation. And how it can flow enveloping and encompassing, connecting and complementing each other like an elegant dance! That’s how you learn to flow and dance with life! Categories: awareness, Creativity, Empowerment, Health, hope, Inspiration, life, Life and Living, life education, lifecoaching, Love, Metaphysical, motivational, Peace, Social, wellness, Writing | Tags: #Change Management #Life Skills # Life Coaching # Life Transitions # Pesonal Development # Self Empowerment, #creative writing, #wordpress, appreciation, Creativity, culture, humanity, Inspiration, life, Life and Living, life coaching, Life skills, Life transitions, LifeManagement, Nature, People, potential, Sharing, spirit, Thoughts, Writing | Permalink. Team spirit is an Inspiration towards Integration. To inculcate a positive temperament and boost morale, individually and communally any management must ensure team spirit to help enhance an atmosphere of mutual trust and understanding. Collaboration is an art of management through team building activities that increases productivity and helps to finish more tasks on time. The spirit of Collaboration is in giving and sharing value to and with one another. And most of all respecting skills each have been uniquely endowed with and can bring with them. Work with respect for one another’s individuality. Set roles and norms in place. Be responsive and receptive to learning and co-working. Learn to trust & build an atmosphere of trust. The trust comes from encouraging one another. It builds team spirit! Categories: art, Creativity, hope, life, Life and Living, life education, motivational, wellness, Writing | Tags: #wordpress, Learning, life, Life and Living, life coaching, Life skills, LifeManagement, Management, Work | Permalink. Life and work balance is truly important to ensure you are able to live better and lead meaningful lives. 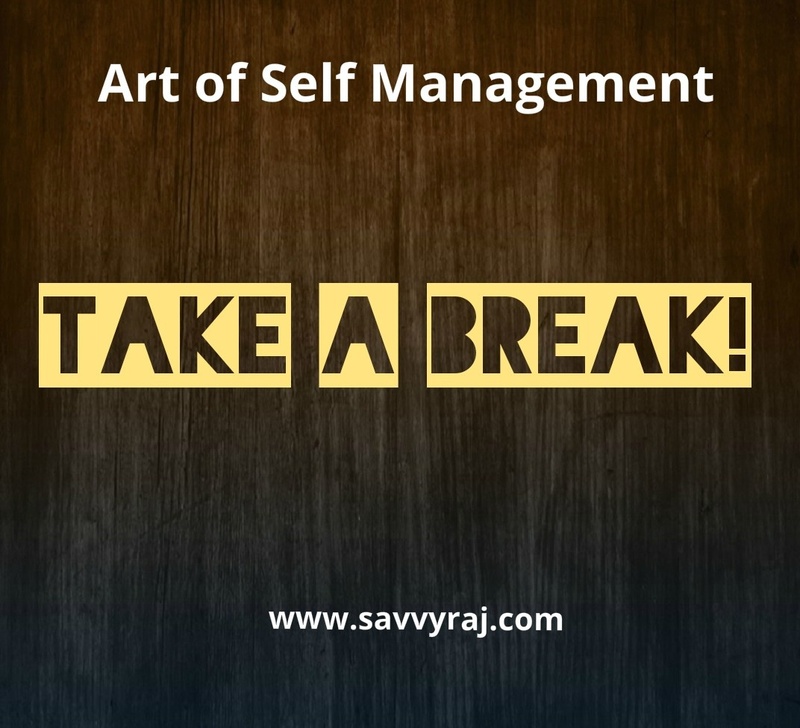 Take short break off from your job to refocus. Even if you are the most excited about a new project that you are working on, taking short breaks to revitalize regenerate and renew yourself will bring a huge difference to the way you work and live. Only when you learn to unplug will you know what you have been missing all along .Our body needs timely rest to function its optimum best. After all we are humans and not machines … so dont stretch it too far! Take a break! 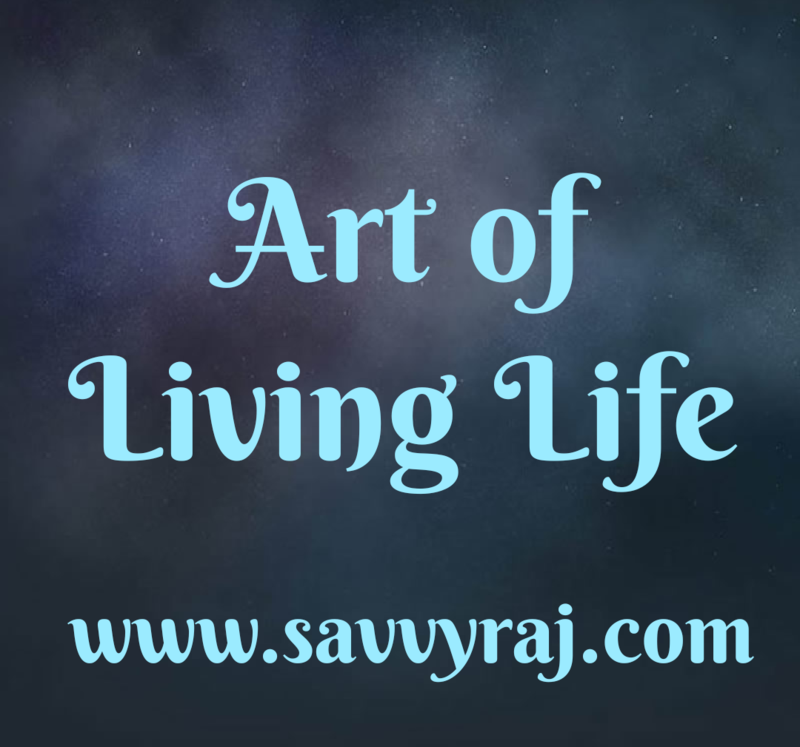 Categories: art, Health, life, Life and Living, life education, motivational, visualverses, wellness, Writing | Tags: # Positive Approach #, #wordpress, Health, Life and Living, life coaching, Life skills, LifeManagement, Management, Tips, Work | Permalink. Wisdom truly lies in the art of management of two principles in life : one of never giving up and the other of letting go. On one side is a dedication, discipline and determination and on the other is the dispassionate discernment and in learning to surrender to balance the ego within. Every attempt at achieving such a state of balance can be a great tool for learning to evolve with the wisdom. For life is to live and not simply exist. Flow along with the path of light in passion and dedication . And allow life to manifest its infinite abundance. Sharing the great visionary of India Swami Vivekananda’s account of life story in his own words here …. “When you travel on this path of shraddha, (faith) veerya, (courage ) smiriti, (that which is remembered) you have to go through three phases. The first phase is Haasya (laughter/humour). People will make fun of you. Face them. Accept them. When you are taunted, reply in the same tone of haasya. Then slowly the inner consciousness starts evolving. Then comes the second stage ‘Virodha’. (opposition/ hostility) The same people will start opposing your stance – Accept all the opposition. Don’t fight with anybody. Don’t argue. The moment you get into the argument, then you are going to suffer. If you argue while you are going through lot of internal turmoil’s, conflicts and confusions, you will not be able to convince anybody. So, during the second part of sadhana, (dedicated practice)don’t argue with anybody. Convert the negativity into a positive fragrance and give this in return. Then comes the third stage of ‘Svekaara'(acceptance). The same people who laughed at you, the same people who threw stones, will do pranams ( respectful salutation)& accept you. To honor your path and vision is a task of a lifetime. To steer clear of slack and sloth, lethargy and languidity takes a consistent mastering of the senses. To stay true to your chosen way and vision is a commitment driven by your belief and faith in your life’s purpose of being. To know is to reach beyond the sensing of the eternal truth of ones being . And all the challenges happening along in the journey, will resolve in time on its own as the intent and focus remains unwavered. For life itself is a spark of the divine consciousness. Categories: hope, life, Life and Living, life education, Love, Metaphysical, motivational, Nature, Peace, wellness, Writing | Tags: #creative writing, #Life #Abundance, #Life Coaching #Mindfulness, Education, Environment, faith, humanity, Inspiration, life, Life and Living, life coaching, Life path, Life skills, Living, Nature, Relationships, Sharing, spirit, Thoughts, truth, Writing | Permalink. Categories: art, Creativity, Dancing, Health, life, Life and Living, Love, Metaphysical, Nature, Peace, Poetry, Writing | Tags: Consciousness Awareness Mindfulness, life, Life skills, Peace, Personal Development, Subtlety | Permalink. Categories: art, life, Life and Living, Love, Nature, Peace, Writing | Tags: Environment, hope, Life skills, Nature, sustainability | Permalink. Categories: art, Artworks, Creativity, life, Life and Living, Metaphysical, Nature, Poetry, Travel, visualverses, Writing | Tags: Equanimity, Life skills, Life transitions, wisdom | Permalink. Life is how you live it .